If you happen to be at the Central Library downtown, check out this display I created for the bicentennial. 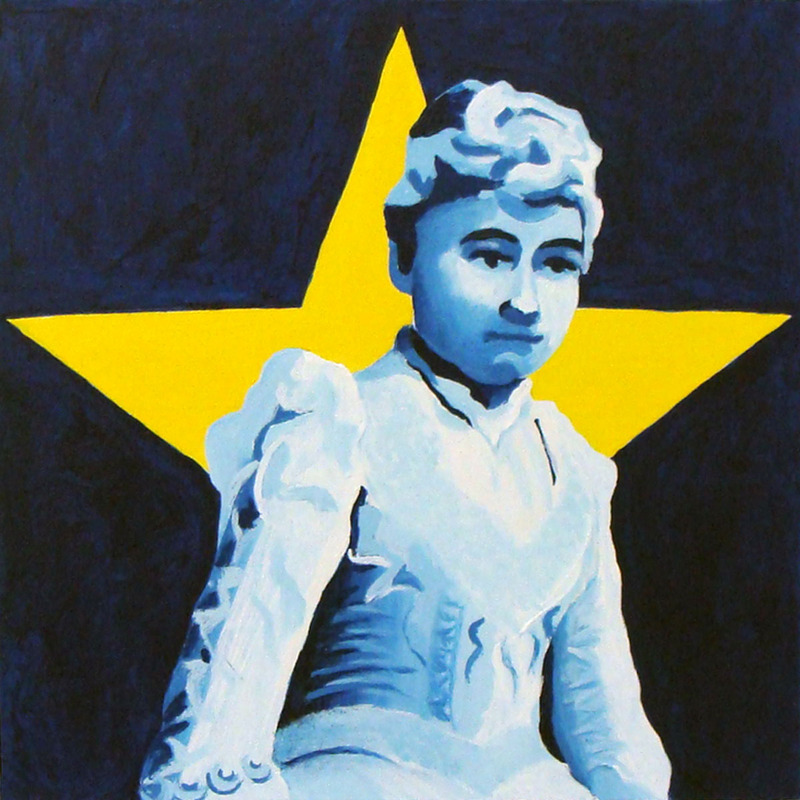 It features 19 historic Hoosier women from suffragists, to writers, to businesswomen and more. Stutz Holiday Open House and more! 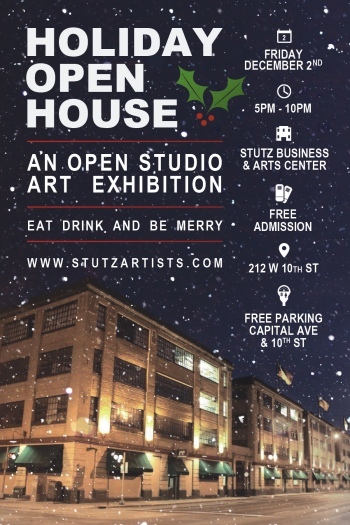 I wanted to take the time to personally invite you to the Stutz Holiday Open House. 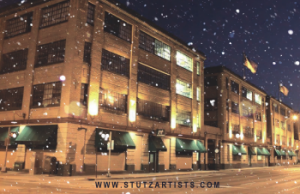 I will have my studio open as part of the Holiday Open House at the historic Stutz Business and Art Center on Friday December 2nd from 5-10PM. More than 40 artists will have their studios not only full of amazing work, but also festively decorated. Stop by the Raymond James Stutz Art Gallery on the first floor to see artwork from all the participating artists. This will have you figure out where you want to stop first. Maps will be given out at the entrance so you don’t get lost. Free parking will be available in the parking lot on 11th Street between Senate and Capitol Avenues, just north of the building. 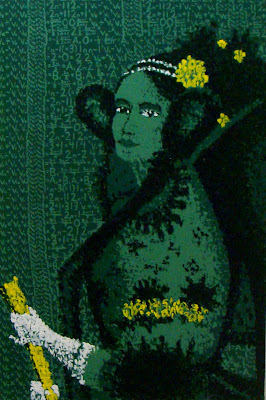 I have been hard at work this year creating pieces celebrating women throughout history. 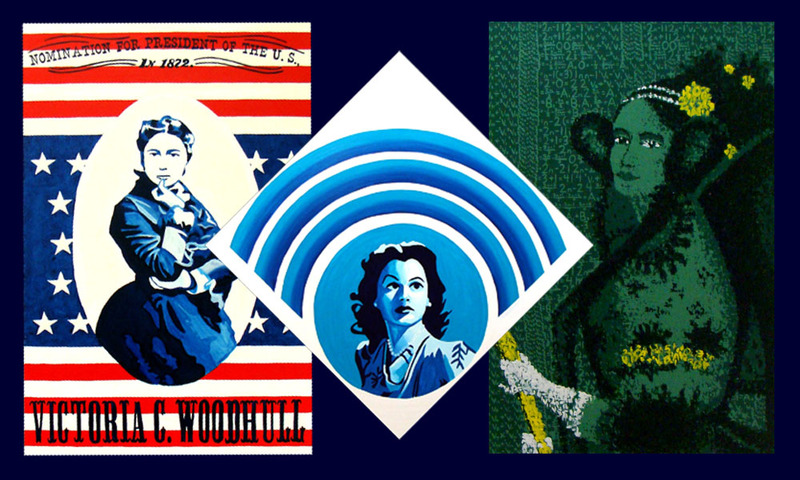 From Ada Lovelace the first computer programmer, Victoria Woodhull the first woman to run for president, to Hedy Lamarr who besides being an accomplished actress, helped create technology behind Wi-fi and GPS. 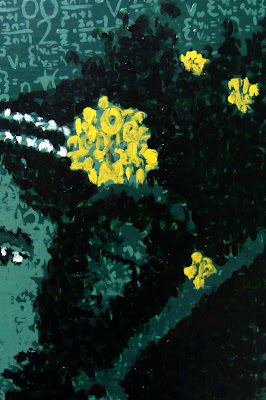 I will also have artwork up at several group exhibitions throughout Indianapolis. I will have a few pieces at 924 Gallery’s Tiny. 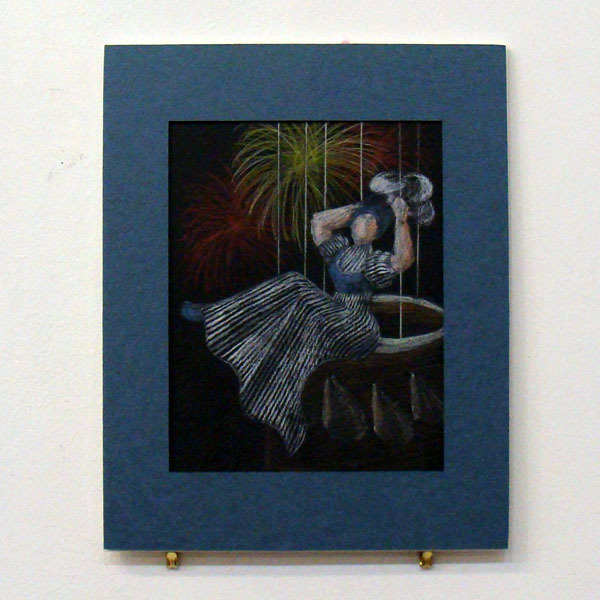 All pieces in this exhibition are all under 6x6x6 inches. Most pieces are even priced under $100 and they allow you to pick up your purchased piece before the closing of the exhibition in January. I will also have work at the Harrison Center for the Art’s Blue Indy. 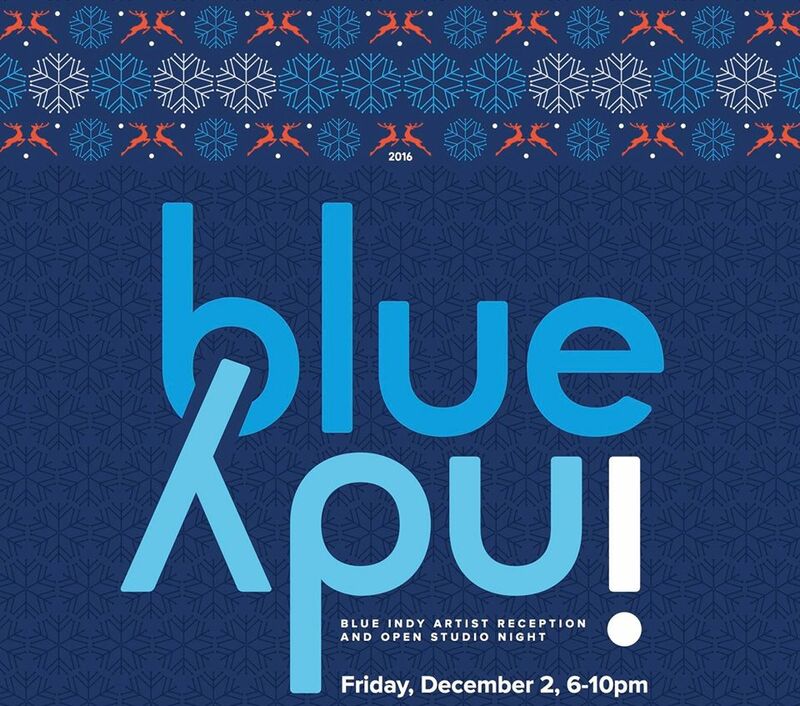 The color theme for this year’s exhibition is, you guessed it, blue. I will also have pieces on display at the Central Library downtown as part of Indiana’s bicentennial celebration; Indiana turns 200 on December 11th. 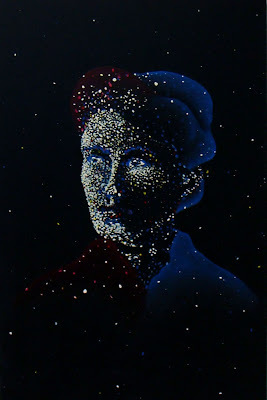 I have been very busy creating pieces celebrating Hoosier women. Don’t forget to support your local businesses when shopping this holiday season and also that original artwork makes a great gift. An astronomer for over 40 years, Anne Jump Cannon developed a classification of stars that we still use today. With this system, she is credited with cataloging nearly 400,000 stars from photographs taken with a telescope. While at work, she averaged cataloging three stars a minute. She became deaf after contracting scarlet fever in her thirties. Stop by and see her at the Stutz Holiday Open House December 2nd! Free event open to everyone! Get a jump on your holiday shopping at the 4th annual Holiday Artisan Bazaar. Purchase one of a kind items such as jewelry, glassware, textiles, wood crafts, ceramics and much more. These items will not be found in a mall and your family and friends will cherish and appreciate the uniqueness of the gift. More information can be found at jccindy.org. 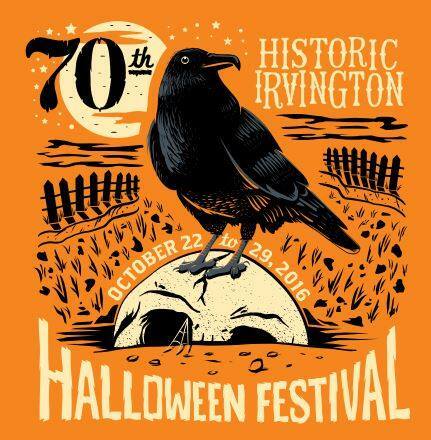 Come see all of my latest work at the Historic Irvington Halloween Street Fair this Saturday. My booth will be on Washington Street again this year. This will be my last art fair for the year and it is always a great time, and best of all it's free. 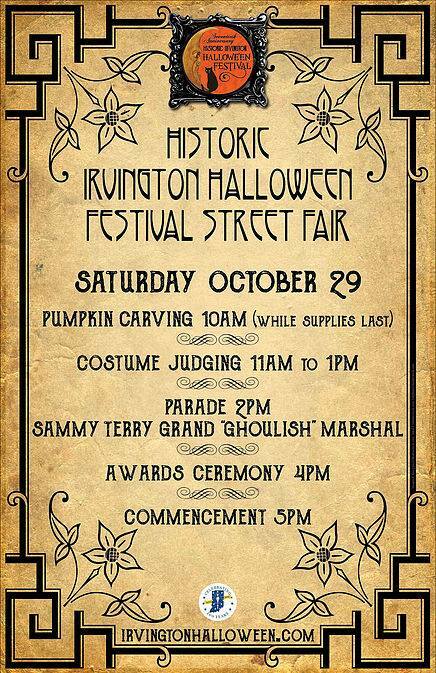 The street fair runs from ten to five and there are a ton of other activities going on all day long from costume contests to a parade. Come and have a great time before it gets too cold outside. I just finished listing to the audio book version of this wonderful book. I only knew of about five of these women before. It has caused me to spout into phrases such as " Hey did you know a woman discovered the double helix, or nuclear fission, or invented Kevlar?" to everyone around me. Expect to see many of these women popping up in my work soon. 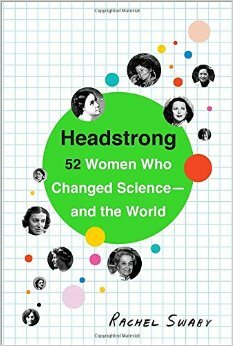 I've already done pieces on two women featured in the book, Ada Lovelace and Hedy Lamarr. I just got these pieces back from exhibitions this summer and they have been a bit hit. The originals are still available, the postcards are popular, and prints are coming soon. Check them out in my Etsy shop. I listened to the audio book through an app called Overdirve which lets you lend digital items such as e-books from your local library. How cool is that? If you do decide to purchase the book on Amazon please make sure to do it through Amazon Smile and select the Stutz Artists Association to support your favorite local artists. I am very excited to participate again in one of my favorite art fairs. Art Squared is all about three events all in one day. There will be an art fair, masterpiece in a day, and an art parade. I will be participating in the art fair from noon to 6PM. 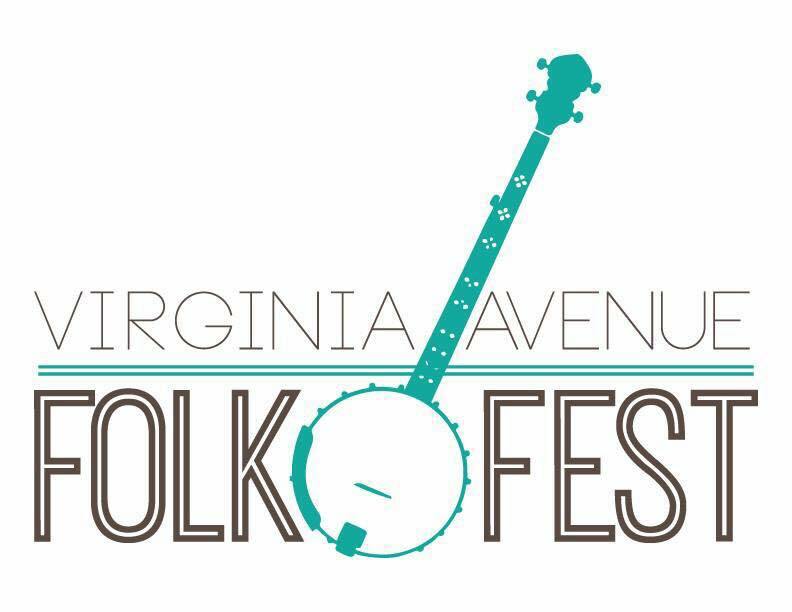 The fair will be located in along Virginia Avenue and Prospect Street. My booth will be along Prospect Street this year, just south of the Murphy building. See you there and be square! I am expecting my limited edition reproductions of Victoria Woodhull, Hedy Lamarr, and Ada Lovelace to arrive any day now. Check out my Etsy shop for a special price on pre-orders. 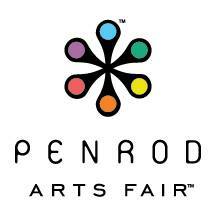 I will have a booth at Penrod this weekend. There is a preview party Friday evening. On Saturday the hours are 9AM to 5PM. Tickets are $15 online and $17 at the door. For more information please visit www.penrod.org. I will be in booth #51 in the yellow section. I dropped off a few of my latest piece off to get them scanned and prints made. I am offing a special pre-sale price of 25% off in my Etsy shop. Prints should be ready next week and will ship out shortly. Lots of folks have been asking for prints of these popular pieces so hurry! 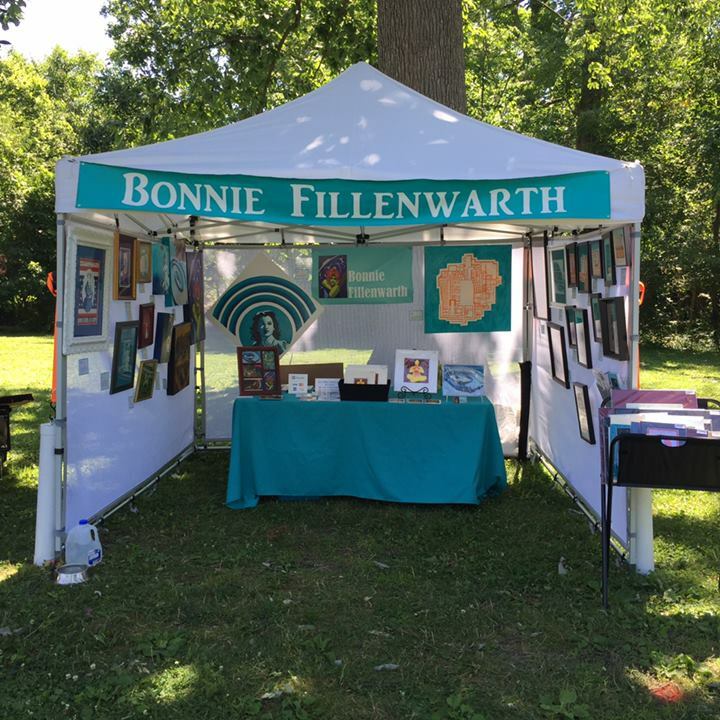 If by chance you are unable to make it to Penrod on Friday night or Saturday, I will have my booth up at the Irvington Farmer's market on Sunday in Ellengurger Park from 12-3. For more information about this wonderful event please visit click here. 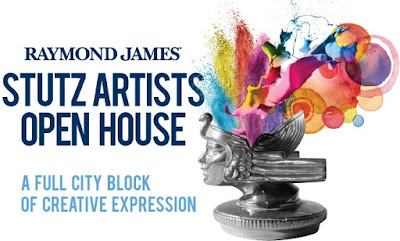 Stop by and see your favorite Stutz artists at work this Friday night 5-9PM. 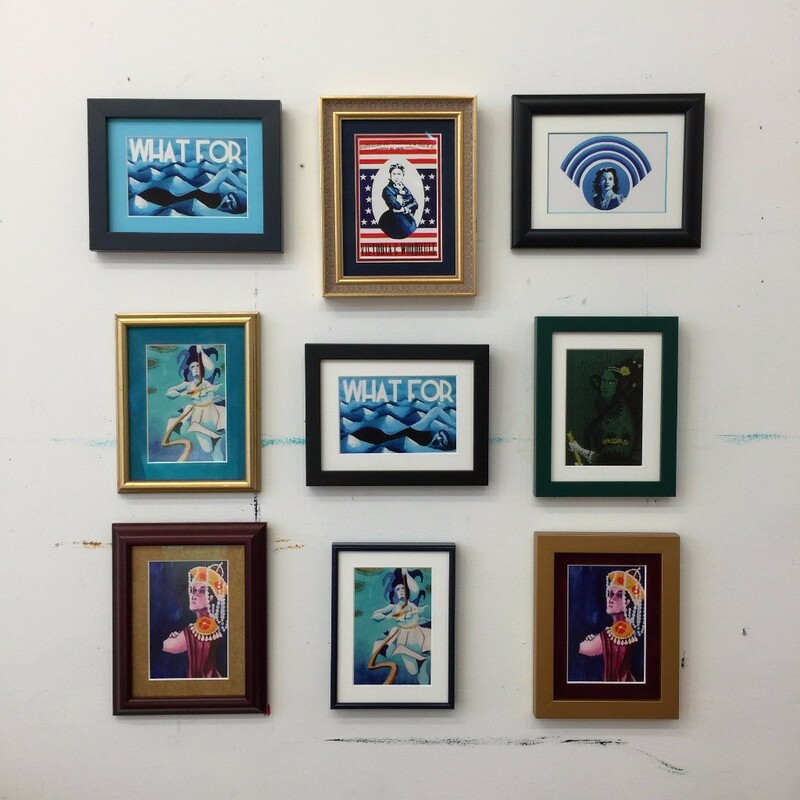 Over 23 artists will have their studios open as part of the IDADA First Friday Art Tour. In the Raymond James Stutz Art Gallery the opening reception of "Coming Back Home: 20th Anniversary of the Stutz Residency Program". For more information about these Stutz events check out www.stutzartists.com. The second annual Music on Main take place from 1-8 p.m. on Sunday, August 7th along Main Street in Beech Grove, between 5th and 8th Avenues. 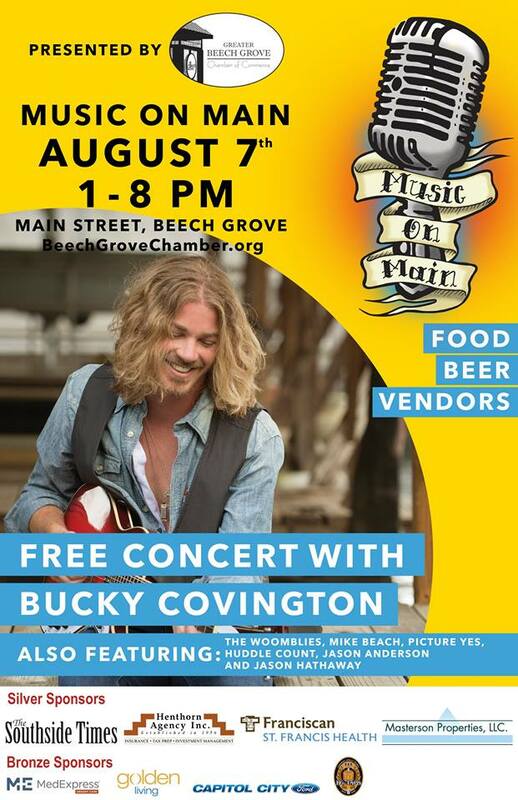 Two music stages will alternate throughout the day, with the headliner, Bucky Covington, taking the stage at 6:30 p.m. Stop by to enjoy tons of food, arts, vendors, and a beer garden. Lowe's will be on hand to help children build projects with pre-made kits. Plus, there will be face painting and plenty of treats. For more information click here. I've launched my very own Patreon page. Patreon is similar to Kickstarter but instead of funding for a single project, patrons support their favorite artists every month or every time they post something new. Artists give special gifts to their supporters in return for their support. I'm giving all kinds of wonderful goodies to my supporters. 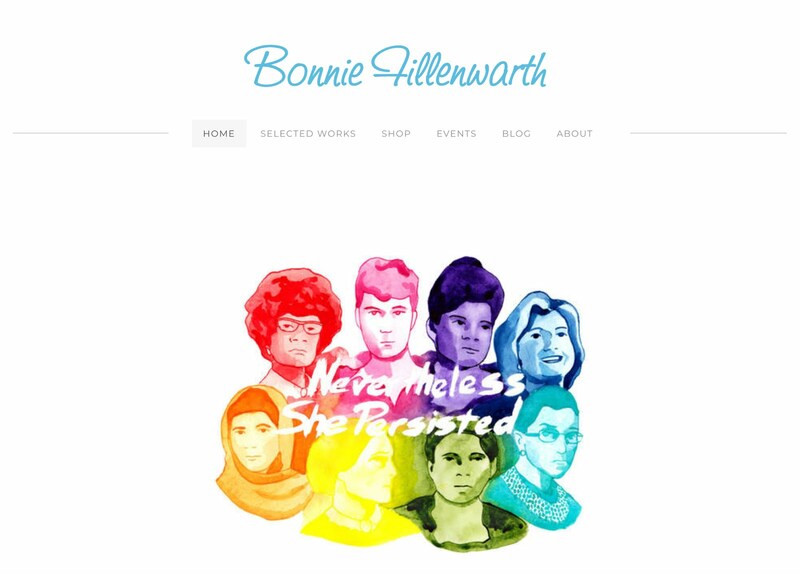 For more information please visit www.patreon.com/ bonniefillenwarth. I've recently been creating a few buttons from my artwork. They are available in my Etsy shop. 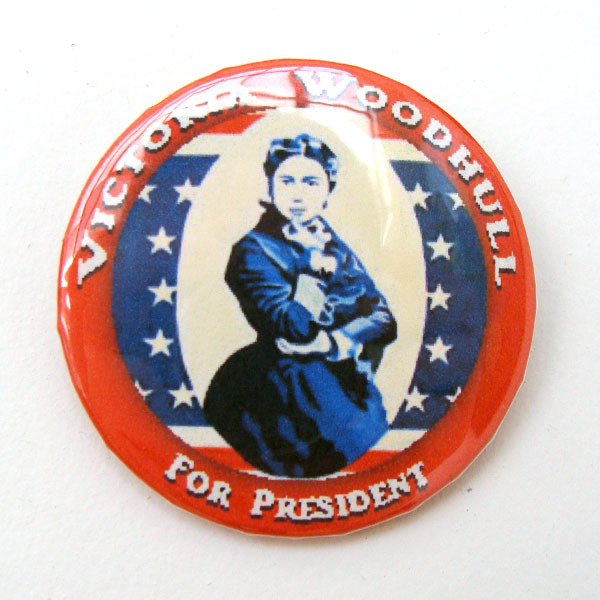 My first one is a Victoria Woodhull for president button. Victoria Woodhull was the first woman to run for president in 1872. Celebrate woman's history this election year. In case you've missed it, If added some new art postcards to my Etsy shop. They've been popular so far. Send a message to a friend on the back of a postcard featuring your favorite historic woman. You can even frame them. I have a few framed postcards available in my shop as well. 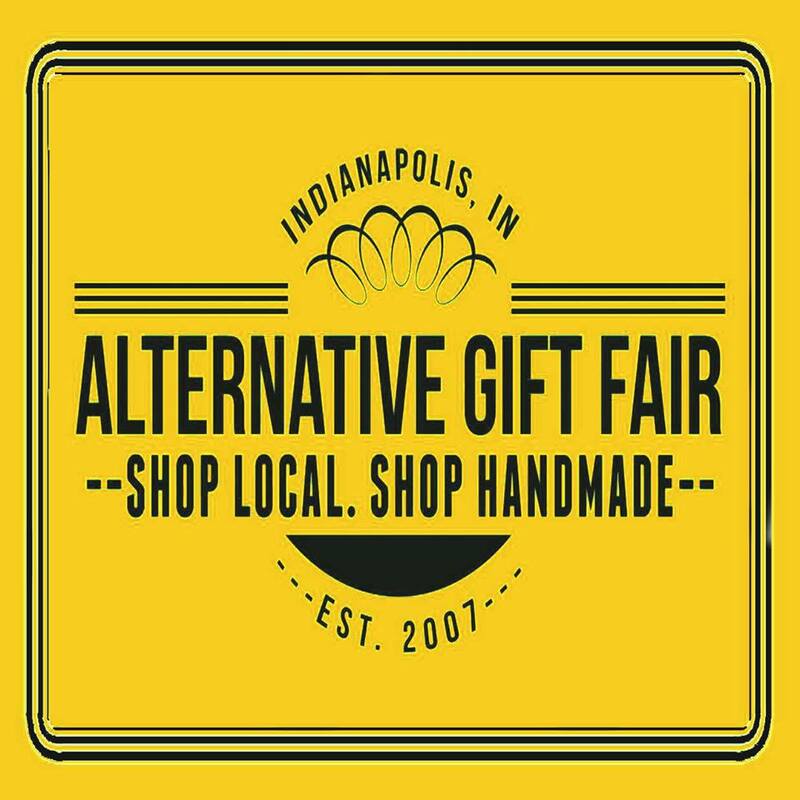 This will be the first year for the summer Indiana Makers Market. I was one of the lucky arts chosen to set up shop at this wonderful event. The market will be held Downtown Lafayette between 5th Street and the alley in collaboration with the Bindery Artist Studios, and Mulhaupts. Also, he first 50 visitors get gift bags filled with goodies. If you've had a chance to make it to the City Gallery at the Harrison Center this month, you've already seen my two latest pieces. I have been doing research of Hoosier women for the bicentennial. I created these two for the Herron, Sewall, and Steele exhibition that runs through the 26th. They will also be on display during the Independent Music and Art Festival at the Harrison Center on June 11th. May Wright Sewall was an amazing woman who created a school for girls, fought for woman's suffrage, and advocated for the arts. Also, this is my 200th blog post! I will have two brand new pieces on display at the Harrison Center for the Art's City Gallery this First Friday. "The City Gallery presents “Herron, Sewall and Steele.” This group show honors prominent culture builders who shaped the story of the arts in Indiana. This exhibit celebrates the work of May Wright Sewall, founder of the Art Association of Indianapolis; John Herron, unexpected funder of the State’s first art museum and art school; and T.C. Steele, Indiana’s foremost painter (also a founding member of the Art Association). The show will feature new commissioned works of art and spoken word ballads inspired by the stories of these cultural leaders whose lives and legacy contributed to the historic John Herron Art Institute (now Herron School of Art and Design), and whose actions advanced art, culture and social justice throughout our State. 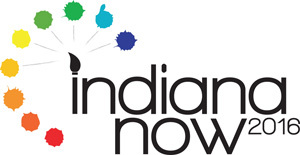 Contemporary Indiana artists were selected to create art inspired by their stories. “Herron, Sewall and Steele” is a signature project of the Indiana Bicentennial Commission and is made possible, in part, with support from the Indiana Arts Commission." Be sure to also check out the Independent Music + Arts Festival on June 11th at the Harrison Center. For more information check out the City Gallery. I will also be showing new work at the Art From the Heartland Exhibition at the Indianapolis art Center. The opening reception will be June 10th from 6-9PM where awards will be given out. The exhibition runs through August 6th. For more information check out theIndianapolis Art Center. With all the Stutz Open House rush I forgot to post this piece I finished right before the big show. Most people know Hedy Lamarr for her accomplished film career. Most do not know that she was also an inventor. During WWII, she helped develop a frequency hoping system for torpedoes. This same technology is used today for Wi-fi, GPS, and Bluetooth technology. I was one of the less than 90 artists chosen for this exhibition of current work from Indiana artists. The opening reception will be Friday May 13th from 6-8 at the Art Museum of Greater Lafayette. The exhibition runs through August 31st. For more information see the Art Museum of Greater Lafayette's website. So it begins! My first festival of the year will be at one of my favorite spots in the city, Fountain Square. This festival will have over 100 bands playing on 13 stages starting at 9AM and going until 11PM. There will also be over 50 vendors. I will be setup along Virginia Avenue. For more information check out the festival's website or this video below. 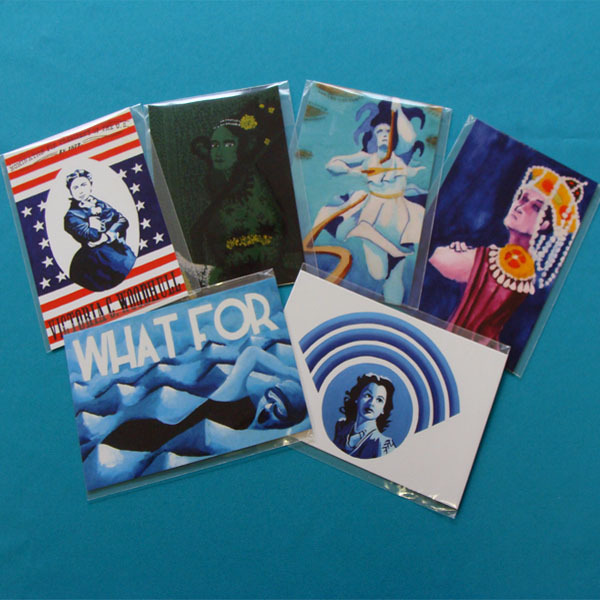 This is a set of six wonderful little art print postcards featuring women throughout history. The front has a high resolution image of artwork created by Bonnie Fillenwarth. The back has a short description of the notable woman the upper left hand corner with plenty of room left for you write a wonderful message. They are 4 inches by 6 inches which means they will fit wonderfully in a small frame. It would be so lovely to have a small art print on your desk at work or home. They can even be used as unique thank you cards or even simply hung on your refrigerator. They can also be sent through US mail as postcards, all you need is a stamp. They were printed on sturdy 16pt card stock with high quality inks. The front side with the image is glossy while the back side has a mat finish. Two of these cards are in horizontal format and four are vertical. Gertrude Ederle - Gertrude Ederle was the first woman to swim the English Channel in 1926. During her famous swim the water became very rough and her coach yelled at her to get out of the water. She replied, "What for?" Not only was she the first woman to swim across the English Channel, she also set the world record at the time for doing so beating the previous time by about two hours. People at that time thought no woman would ever be able to swim across the English Channel, only five men has been able to do so before her. 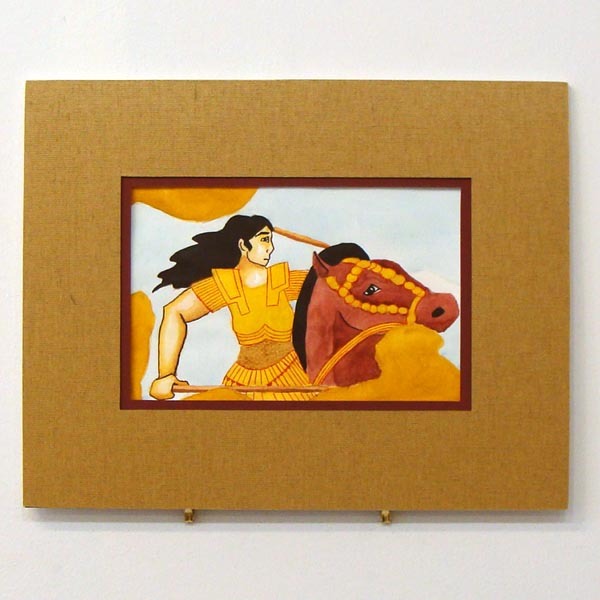 Hydna - Hydna was a woman who cut the mooring lines from the Persian ships at the Battle of Salamis in 480 B.C. The Battle of Salamis is a naval battle that went along with the battle of Thermopylae (the 300). That night, a storm came by and because the ships were no longer anchored, the Persians lost a great deal of their ships. This helped the Greeks claim a victory and save their homes from a Persian invasion. 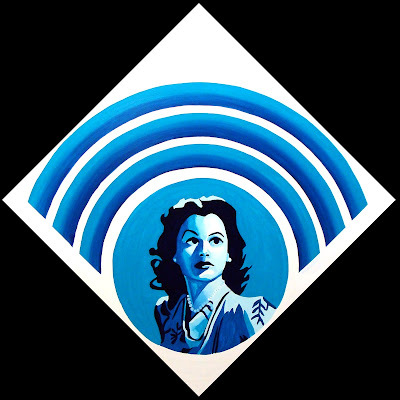 Hedy Lamarr - Not only was Hedy Lamarr an accomplished actress, she was also the co-inventor of a frequency hopping torpedo guidance system. This technology is behind many of the devices we use today such as Wi-fi, GPS, and Bluetooth. Ada Lovelace - Ada Lovelace was the first computer programmer. Because of a divorce with her father Lord Byron, Ada's mother pushed her into learning about anything but poetry. She excelled in math. 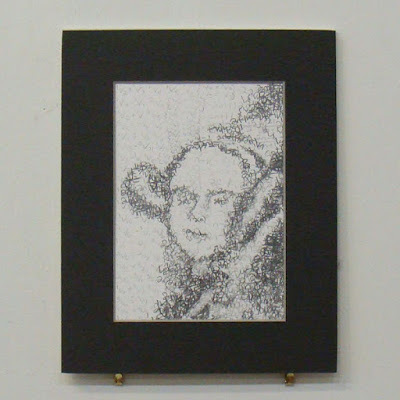 This piece is made up of the math formula which is considered the first computer program. Empress Theodora - Theodora started off as an actress, a dancer, and well basically a high end prostitute. Eventually she bumped into Justinian I, who ended up changing the laws so he could marry this beautiful woman. He made her co-regent which meant that they shared the throne. One day a riot broke out and Justinian was ready to leave town in hopes of exile instead of death. At the docks Theodora put her royal foot down. She told Justinian and his crew that "purple makes a fine funeral shroud" and that she wasn't going anywhere. Her speech convinced her hubby and crew to stay. 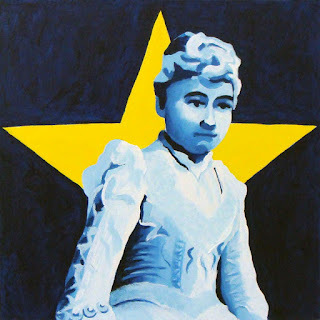 Victoria Woodhull - Victoria Woodhull was many things. She owned a newspaper and she and her sister were the first women to become stockbrokers. What Victoria is most known for is being the first woman to run for president of the United States. 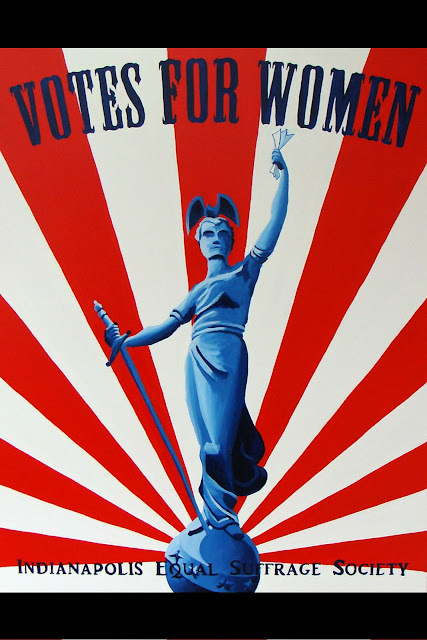 This was years before women won the right to vote. This set includes one of each of these wonderful ladies. If you would like a different combination of six please let me know. All six prints will safely ship to you in protective archival plastic bag inside of an envelope via USPS. Often when I am working on artwork in my studio or driving I am listening to some of my favorite podcasts and I thought I would share them with you. You can find all of these on iTunes or stream from there websites. Stuff You Missed in History Class - Way too many good episodes to count up here. Currently hosted by two awesome chicks, though not just chick history. They did just have a great one the other day about the women in the WASP program though. 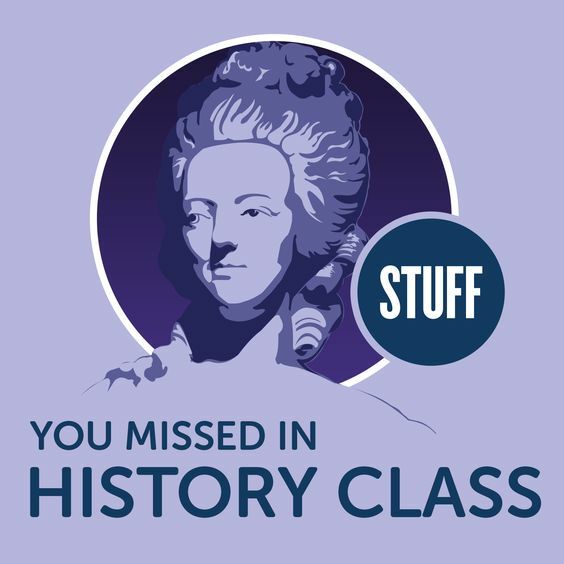 Both Missed in History and History Chicks include show notes which is great if you want to learn more. 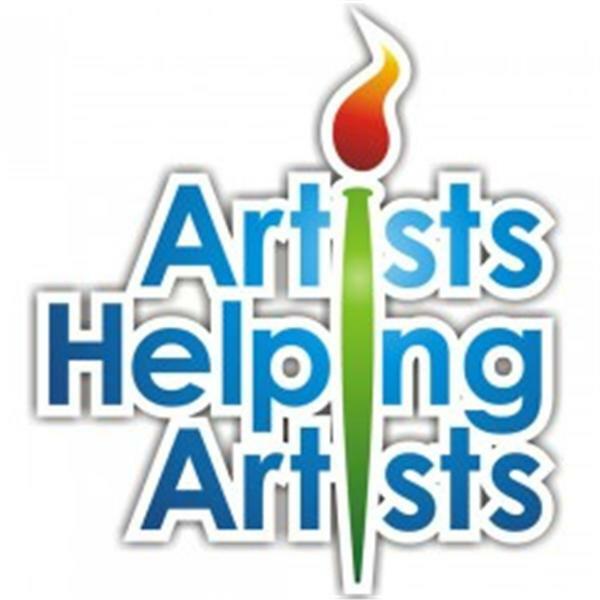 Artists Helping Artists - This is a great art business podcast. They cover all kinds of topics from interviews with artists, how to use social media, studio tips and tricks, and so much more. 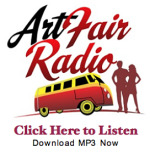 Art Fair Radio - This is another great art podcast about the business of art fairs which is part of a great website as well. The only down side is they do not make podcasts all that oftern ( about once a month or two). One of my favorite episodes is Art Fair Alternatives: Two painters. They talk to tow artists, one who uses a crowdfunding campaign to travel and paint and another artist who painted cupcakes for a year. Got a good podcast you listen to? Share below. I tried out this Facebook Live thing the other day and did a tour of my studio in all of its pre-open house mess. You can see it on my Facebook page or below. I am hoping to do more of these so if you have any ideas let me know. I was lucky enough to be able to attend a wonderful lecture the other night at the University of Indianapolis. These women are amazing. I found out about them when I was in high school and I am so excited that they are still going strong. (Though I would be even more excited if they didn't have to!) They currently have taken over the twin cities www.ggtakeover.com. They were also recently on the Late Show with Stephen Colbert. Find out more at www.guerrillagirls.com. 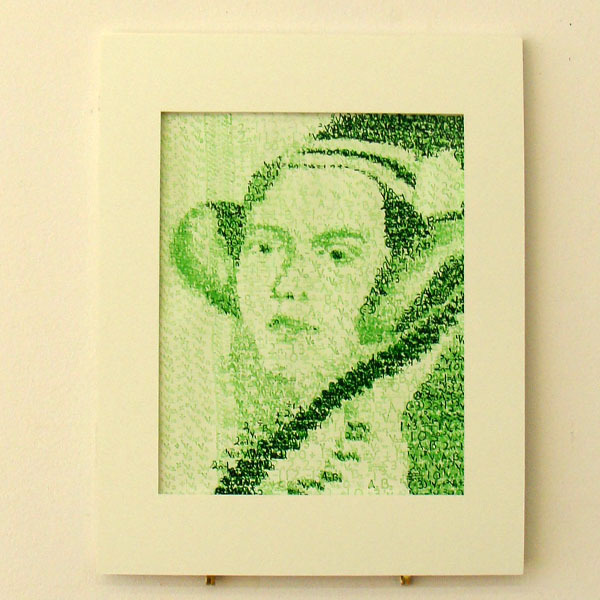 Ada Lovelace was the first computer programmer. Ever. Not just the first woman computer programmer. These pieces are made up of her formula. I am currently working on the lager oil painting of her and hope to have it finished by the 2016 Raymond James Stutz Artist Open House at the end of April. Cynane was the older sister of Alexander the great who would ride into battle with her father the king and battle alongside him. In this piece she is in the guise of her younger brother found on a mosaic unearthed in Pompeii. I have been working on the bigger better oil painting of this one for a while now and I am hoping to have it done by the big open house. Sophie Blanchard was one of the first female balloonists. She and her husband would often do entertaining stunts while up in the air such as lighting fireworks and parachuting down dogs.